So last night, I arrived home and the mail fairy had been at my house. Angela hooked me up with some free stuff from Silver Hills Bakery. 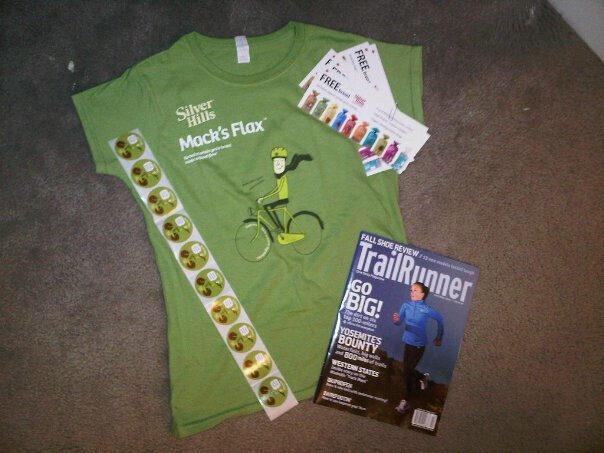 I got a cute little t-shirt, stickers and 5 coupons for a free loaf of their bread. I am even more excited because it is sprouted whole grain bread meaning I will be the only one eating it in my house. My family cannot hack eating “bread with seeds in it” and I think my sister actually believes flour is really white. Anyways. I am excited that it means more for me (and I do have some health conscious friends that will share. 🙂 ). I will give an official review later when I don’t have so many other things to talk about. Sarcasm aside, I am really grateful for it and I will let you know what I think. 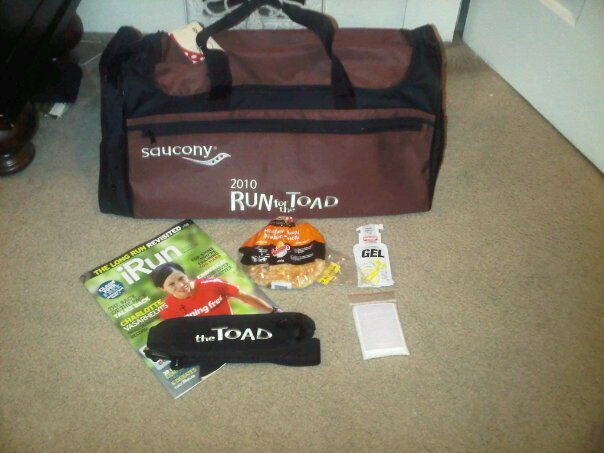 The Run For the Toad is kinda the Cadillac of trail races…they are known for the amazing gym bag they give out. It even has a place to stash your running shoes. They also gave a whole wheat pita they recommend for breakfast, Hammer Gel, a Running magazine and epson salts for afterwards. I will tell you more about the actual race set up later, but I can assure you the Expo is huge, there are many attendants and the scenery is BREATHTAKING. – Natural Muscle Ez…crazy crazy stuff. Smells awful, works like magic. -nevertheless…GU’s (Clif and GU brands) I am trying Roctane for the first time. It is supposed to make you fly. It’s the blue one. -CLIF bar. I love them. – Starbucks Instant VIA package for some extra caffeine incase bottomless free Tim Hortons coffee on site isn’t enough. Tonight I have been BBMing with a very very key person in the race tomorrow. One of my best friends in the whole world. 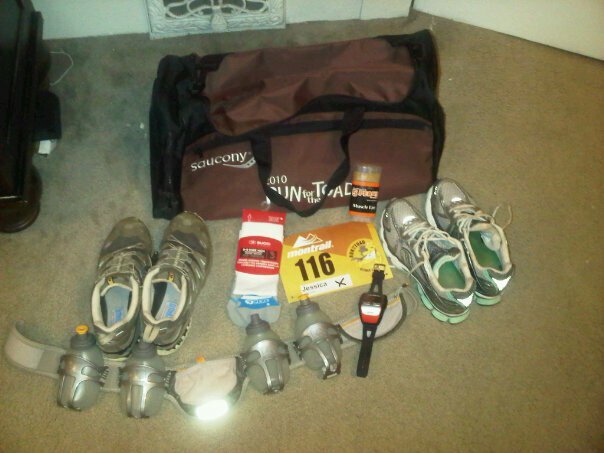 She is coming with me at the crack of dawn to a race to sit in the cold and possibly rain all day with people she doesn’t know and is watching my stuff and handing my shoes off to me at 25 KM. She has been one of my biggest cheerleaders in running because she actually likes when I talk running endlessly. 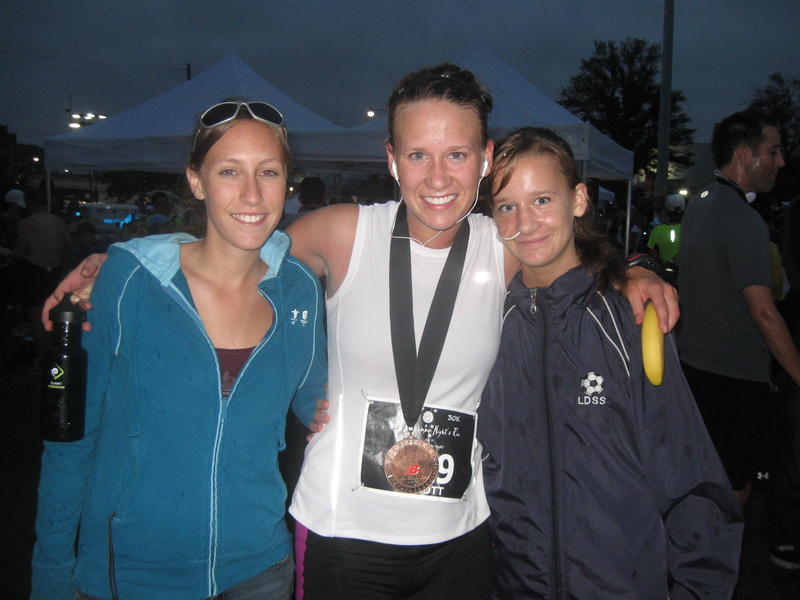 A picture of her, me and my baby sister at a 30 K in Toronto. 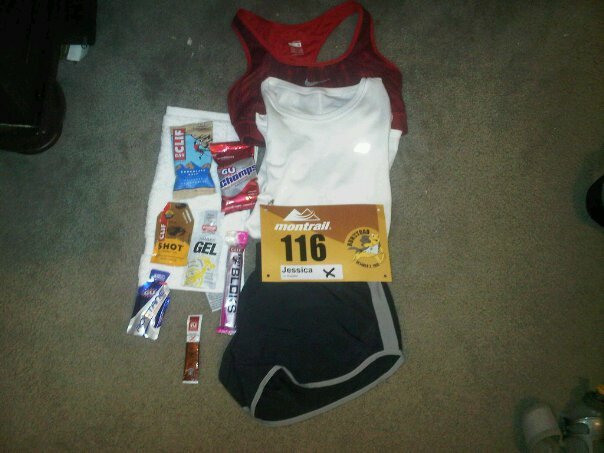 That reminds me..I am running tomorrow’s race for Jolene. 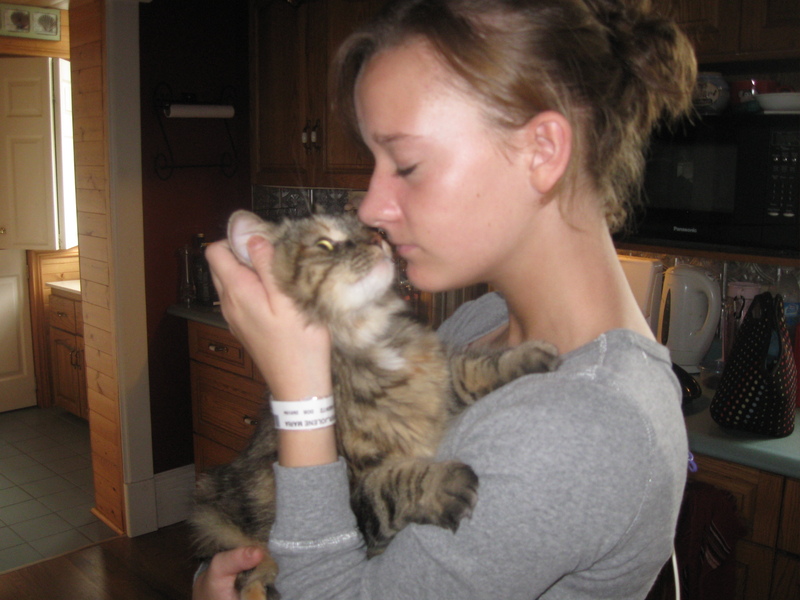 She is struggling hard in her battle against anorexia and she is always in my thoughts and prayers. This one is for you, Jolene!!! I’m cheering from a distance! Another huge thank-you, Angela! I am sooo excited to try the bread.